The ONE BB Cream SPF 30 An 8-in-1 BB Cream with SPF 30 that covers patchy skin and blemishes, to create a. fl awless skin tone. Moisturising formula. helps to refi ne and smooth skin, while. delivering long-lasting hydration for a fresh. and youthful looking appearance. 30ml. Have you checked out our Summer themed Catalogue 8? If your jetting off to relax by the pool or find yourself near the water this summer, stock your make-up bag with some of our waterproof wonders and summer colors! We recommend: The ONE 5-in-1 Wonderlash Waterproof Mascara (31492), The ONE Eyebrow Gel (31490), The ONE Long Wear Nail Polish (31485) and The ONE Colour Soft Lipstick (31653) Check out C8 today! SOLAR Eau de Toilette A surprising combination of beautiful floral, full watery notes,. this aroma fuses juicy watermelon with. exotic hibiscus nectar for an addictively. warm drydown with an urban feel. 50ml. The ONE Waterproof Eye Make-Up Remover Mild,. hydrating eye make-up remover. swiftly removes waterproof and. long wear eye makeup. Oil-free. formula. Delicate eye area really feels. soft and revitalized after use *. Great for contact lens wearers. 100ml There's actually something for everybody. No matter whether. you're looking for a special-occasion mascara to match your. little black dress, or a little something gentle to remove it. 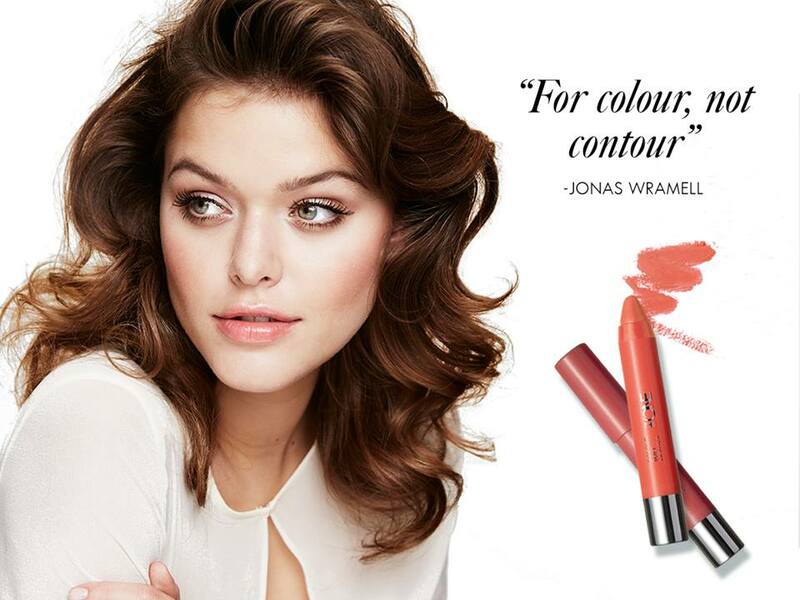 We’re always on the lookout for that perfect, sheer lip colour! Our Global Artistic Beauty Director Jonas Wramell recommends the new Colour Soft Lipstick from The ONE - perfect to throw in your bag for those on-the-go colour touch-ups! There is no doubt that skin damage if you expose it to intense sun. The solution to this is spelled tanning. We show you how to get to a nicely tanned skin - you will not even have to leave your bedroom! The perfect productfrom cream to the sparkling, there is a self-tanning for all. However, we are fans of tanning spray. The reason? They are ideal when you want to access hard to reach places and is really simple to apply. But when it comes to your face, so we recommend that you use a cream for a natural result. To avoid spotty skin, exfoliate the skin always before you start! A peeling removes any dead skin and dry spots, resulting in an even application and a more prolonged tan. If you are in need of a shave, make sure you do it before applying a self-tanner.Why? If you do afterwards is likely ethylene great that you can even shave off part of the product resulting in a mottled and striped disaster. Avoid an orange results by moisturize your skin before applying a self-tanner. Use a light moisturizer all over your body, but be sure to pay attention to the extra dry parts: feet, ankles, knees, hands and wrists tend to need extra care. It usually usually take between six to eight hours for the skin to absorb a self-tanning product. During this period, avoid contact with water - it does not exercise when you do not want to sweat! And after application, you must of course wait at least five to ten minutes before you dress. If you are to succeed in tanning requires patience. Apply always (and we mean always) a self-tanning in a cool, dry place. If you do it in a steaming hot bath, you can expect a blotchy results! To avoid orange palms, make sure to wash your hands regularly throughout the procedure. And for hard to reach places like the back, spray your tan without sun directly behind you in circular motions. Then go back into the fog so that the droplets land on your back. No one wants a striped tan, but sometimes you can not avoid. If you find the stain on the body that are darker, jump into a hot shower. If it does not disappear, repeat the next day.